warning: a lot of venting is about to take place, so if you’re not in the mood today, please skip to the bottom of the page or comeback next time. so my day started out really great; i dragged myself out of bed got up, took some cardio cuts and popped in insanity: cardio power & resistance. i got in a great burn.. looked down at my HRM and realized.. i forgot to turn in on! oh well, no big deal. i know i got a great burn in. 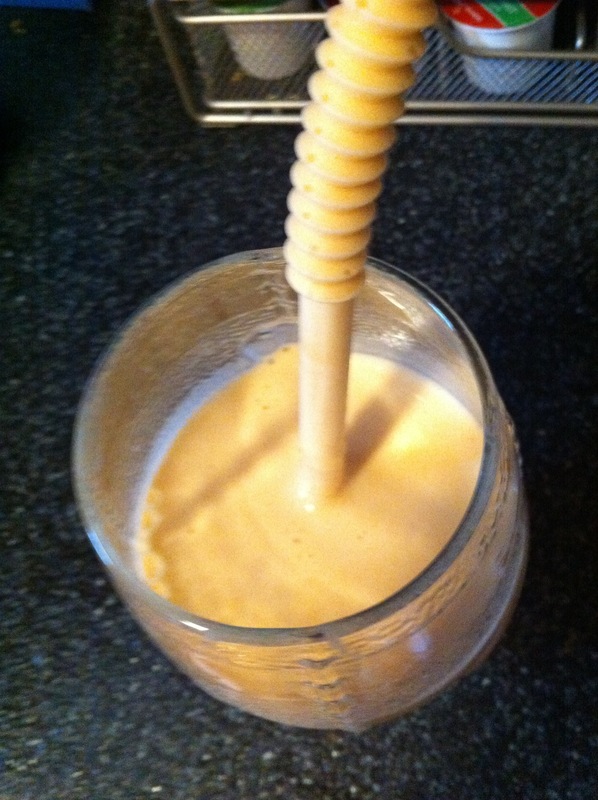 afer cool down, i made a orange creamsicle recovery/protein smoothie (recipe below), and then got ready for work. on my way to work i decided to call my dad (after i talked to my mom) even though i had a gut feeling it wasn’t the best idea. *background info: i am currently working as a General Ledger Account for an independent state agency making pretty good money compared to most of my peers. my dad, a very conservative man, thinks that me working at the state is only doing one thing: wasting his tax money. he thinks i have wasted my undergrad and grad degrees on something that i could do easily without either (which is def not the case at all). i chose this position because it would be possible to study (wait, i’m suppose to be studying?!) and work without being overwhelmed; many of my classmates got into ‘big 4’ accounting firms and havent gotten off work before 11 p.m. since december. for now, that’s not something i want. no, i don’t want to work at this company forever, but for now, i’m happy, and that should be all that matters. since i have accepted this job, which started out as an internship, my dad has had a rollercoaster of opinions, which he is more than happy to express to me. when i started, he was happy; happy i found a job that started within a week of me graduating. assured me, this would be the experience i needed with not so much work that CPA studying would be overwhelming.. that was the first week..
from there he did a complete 180 on me. he went from supportive to completely opposing everything about what i was doing. i was wasting my time, i was wasting his money that he paid for my education, i was wasting his tax money (because i would for a government agency). every single time i went home i was bombarded with all this negativity.. it started with me going home bawling after spending the day at home for thanksgiving. then, at christmas, trying to embarrass me in front of all my close relatives. since christmas, i have no been home. i hadn’t even talked to my dad, which is a shame. i love my dad with all my heart he’s done a lot for me and i have so much respect for him, but i can’t keep taking this negativity from him. it’s bring me down and i don’t know what to do. i’ve let my mom know how i feel and she agrees what he is doing is wrong, but there’s nothing she can do about it. shew, sorry for such a long background, but for you to understand why this phone call made me so upset this morning, you needed to know. i called him up just to say hi, which he always assumes i need something. we talked for a few minutes, about his company (he owns a landscaping company), about his health (since he hasn’t been in the best health lately), and the last thing he said was “have you found a real job yet” something struck me and tears started rolling down my face. as calmly as i could, i let him know i was pulling up to work ( i wasn’t even close) and that i had to go. that was the end of it. i called barbara and vented and she reassured me, what i was doing was the right thing, but there’s still a piece of me, this morning, that is so upset. it shouldn’t be like this. why can’t he just be proud of where i have gotten? i was the first of my family to graduate from college and the first of extended family to get a master’s degree. that means nothing to him. it’s situations like these that make me want to put myself into a carb coma.. bread, donuts, cake, cookies.. anything would make me feel better than i feel right now. i know that’s not the answer; i need to make sure i’m keeping track of this as one of my triggers that tends to break my healthy lifestyle commitment. i’ll end this conversation there. sorry for all the personal information and heaviness, but it’s my blog and i can choose what i want to write about, right? so.. on a lighter note (if you made it through all of that), i concocted a delicious smoothie that i would like to share with you. i can’t say i was ever a fan of creamsicles during my childhood, but this doesn’t taste half bad! 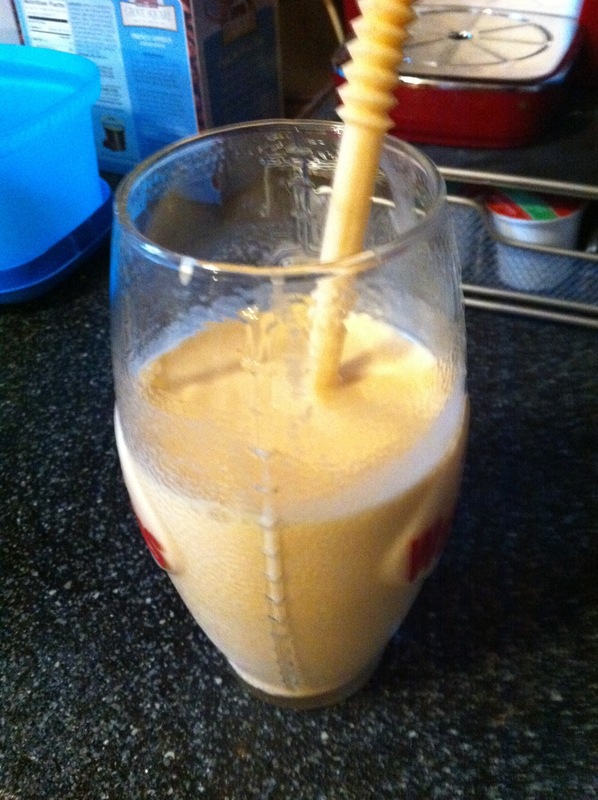 combine all ingredients into a blender and blend until smooth and enjoy!